FSU Credit Union offers several convenient ways for you to make your loan payment. Review the options below and discover your favorite way to pay. The easier payment options are listed first. Make a single payment from a non-FSU-Credit-Union Checking Account with your telephone by following these steps. It will repeat everything your just entered, press 1 if correct or press 2 if you want to re-enter everything starting from the beginning. If you press 1 for everything being correct, it will ask you to “Authorize the Payment” by giving your authorization vocally after the tone. It will give your authorization code twice for your records. If you need to set up an automatic loan payment from an account at another financial institution, you will need to complete the online ACH Debit Origination Form. You can also set up a direct automatic payment from your FSU Credit Union account. This can be done through Online Banking, visiting a branch or by calling 850-224-4960 or toll free at (877) GO-FSU-CU (1-877-463-7828) Monday through Friday from 8 a.m. to 6 p.m. Eastern Time. 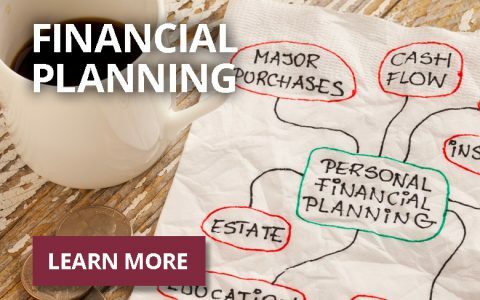 To find a FSU Credit Union Branch near you, visit http://fsucu.org/contact-us. Important Note: For automatic payments, we recommend to set it up for once a month. If you prefer bi-weekly payments, keep in mind that some months will have three payment periods in them. To set up a direct automatic payment from your FSU Credit Union account in Online Banking, follow these steps. With Online Banking, you can transfer money from your FSU Credit Union checking or savings account to your FSU Credit Union loan to make a payment. To make a loan payment through your FSU Credit Union account, follow these steps. With our Mobile Check Deposit, you can make a loan payment by following these steps. First, you’ll need to have our mobile App called “FSU Credit Union Mobility App” installed on your mobile phone. If you don’t have it yet, visit the App Store or Google Play, search for “FSU Credit Union Mobility” and install it. To be eligible to use Mobile Check Deposit feature, you must be an FSU Credit Union member for at least 90 days and have no delinquent loans with the credit union. Make your check out to yourself and add the “Loan Payment + loan suffix” on the memo line of your check. Open and log into the FSU Credit Union Mobility App using your online banking username and password. Select the “Deposit” icon from the bottom menu. You’ll have to make the mobile deposit into your Checking or Savings first, then transfer to your loan suffix. You can make this transfer in Online Banking, the Mobile App or by contacting us. Select “Front Image” to take a photo of the front of your check. Select “Back Image” to take a photo of the back of your check. When will your payment post to your loan? If you make your deposit before 3 p.m. on a business day, it will be applied to your loan within the next business day. If you make your deposit after 3 p.m., it will be applied within two business days. FSU Credit Union members can make a loan payment at one of our many Shared Branches nationwide and beyond. Find a Shared Branch near you by visiting http://www.co-opsharedbranch.org. If you want to make your loan payment from your FSU Credit Union account, ensure you bring your account number and loan suffix. If your other credit union participates, ensure you bring that credit union’s routing number and account number that you’re paying from to complete the loan payment at the Shared Branch, in addition to your FSU Credit Union account number and loan suffix. This website also gives you options for locating a Shared Branch via a mobile device, texting, telephone, and live help on the telephone in the bottom section called “Other Search Methods.” Not all credit unions participate in Shared-Branch Services. You can visit any FSU Credit Union location during business hours to make a loan payment. To find a location near you, visit http://fsucu.org/contact-us. If you are looking to purchase a used vehicle, you can start by asking yourself a few simple questions.